Concrete has long been a popular material for constructing exterior surfaces like driveways, sidewalks and walkways. It is still a widely used building material because of its incredible strength, resilience and durability. However, the plain dull gray look of concrete results in a driveway can pull down the curb appeal of a property.RC Concrete offers an excellent solution: installation of a stamped concrete driveway. This is a decorative surface that combines all the goodness of concrete with a visually striking colorful pattern that is etched on it. 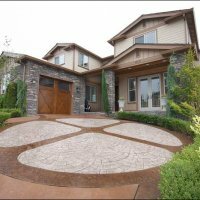 Get in touch with us if you want to give an artistic touch to your home exteriors with stamped concrete driveway installation in Lakewood, WA. Call us today to discuss your stamped concrete driveway installation project in Lakewood. Professional installation is essential for a stamped concrete driveway to deliver the best in appearance, functionality, durability and reliability. 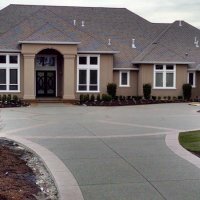 If you want optimal returns from your investment in decorative concrete driveway installation, choose the driveway contractors with great care. Give us a chance to serve you! 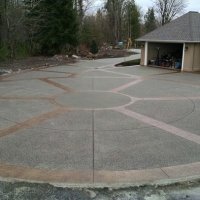 We put our extensive knowledge, skills and experience into your stamped concrete driveway installation job in Lakewood. The result is a sleek, smooth, attractive and hard-wearing surface that you can use without any hassles for years to come. Unmatched expertise and a genuine customer-centric attitude are what make us one of the best stamped concrete driveway contractors in the Lakewood area. We love what we do and work hard to deliver results that make our customers do the same! When you are not willing to settle even for the second-best local concrete driveway contractors, come to us. Make RC Concrete your first call when you are looking around for experienced concrete driveway contractors serving the Lakewood area. Dial (253) 200-9897.